It's been ages since I released a new product but I was really inspired by the beautiful fall we're having here in Ottawa as well as in the Duch de Coeur! 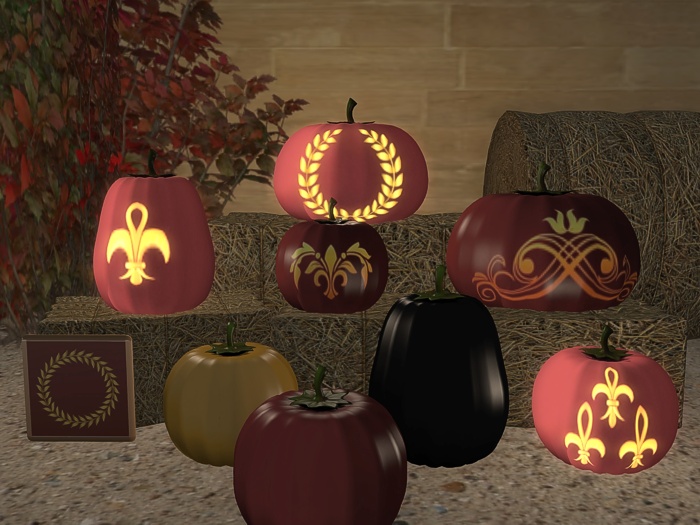 Polished & gilded, this striking collection of Pumpkin Lanterns is perfect for fall decorating adding ambiance to your home, garden or even as a centrepiece for your festive holiday table. Beautifully detailed, they emit a mellow glow when lit and a lovely sheen when not. 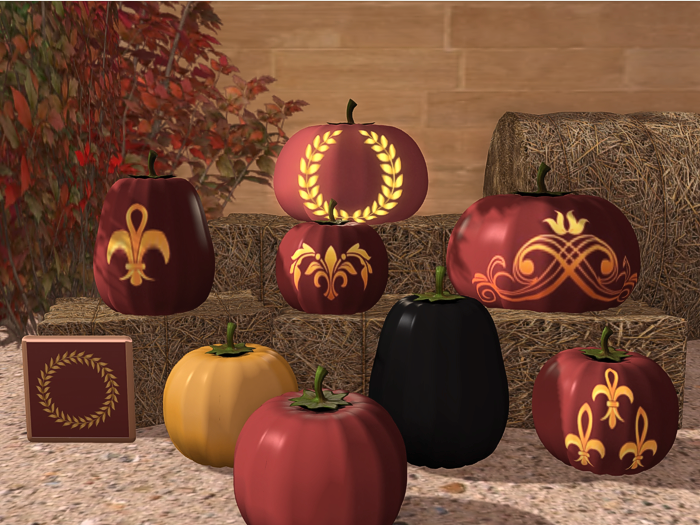 Touch the Pumpkin Lantern to select from Black, Gold, Burgundy, Burgundy w Wreath, Burgundy w Flourish, Burgundy w Scroll or Burgundy w Fleur de Lys. Three sizes & multiple textures make for a wide variety of combinations while the low Land Impact means your arrangements don't have to be limited by prim allowances. Read the story behind these lanterns on my blog at Painting Pumpkin Lanterns at the Petit Trianon. Without a doubt, the prettiest pumpkins in the patch! 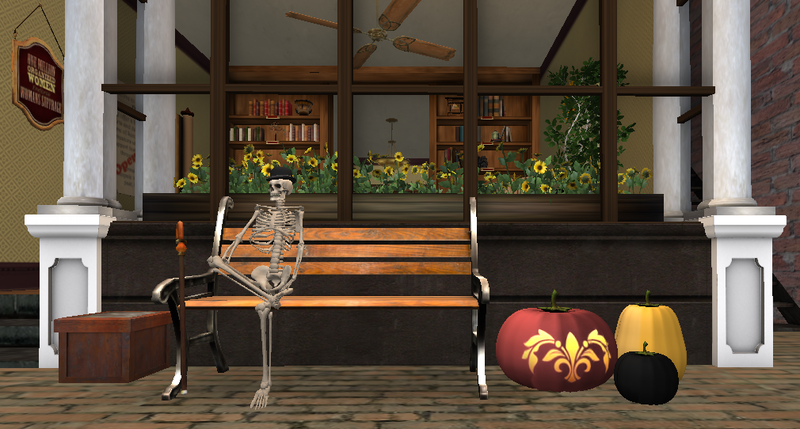 Tat's beautiful pumpkins outside the DECADES Galleries in Philomena (historical community circa 1910-1920) with DECADES "mascot" Herodotus sitting on the park bench watching the passing parade. Last I heard that spider was headed to The Haven looking for an aging Miss Muffett who is STILL sitting on her tuffet, eating her curds and whey . . .
Just in time for your fall decorating! !